The IKEA team is used to turning heads with beautifully designed interiors. But in a world where we’re continuing to buy white, beige and grey products for our home, we wanted to encourage people to inject some personality into their homes – via IKEA’s textiles offering. 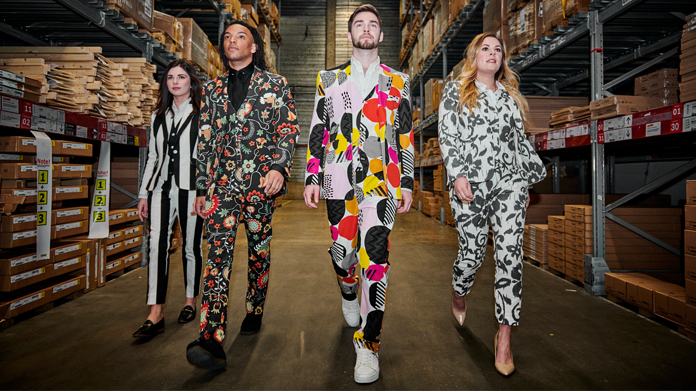 So, to get people to dress their homes as they would dress themselves, we partnered with Savile Row tailor, William Hunt, to create stunning three piece suits out of IKEA fabrics. The suits were then made available to win via on online competition. All with the aim of inspiring the nation to use the same fabrics in their home as a form of self-expression, the story was shared with media and has walked away with global coverage. Results so far have reached all four corners of the world, having been covered by Good Morning America and CTV (Canadian Television). Back in the UK, coverage includes Metro Online, Stylist, MSN, House Beautiful, Hello and Pretty52, amongst many others. Oh, and you can have a bash at winning your very own IKEA Three Piece Suit, here.